Back to Front Design has been most helpful in tailoring our website to suit our multiple sales platforms and integrate our design ideas with the Shopify POS software we use. I would recommend them to any small business using Shopify or wanting advice and web-design to support online and retail sales. Thanks for the professional service, patience and long distance support. This website has now been retired. 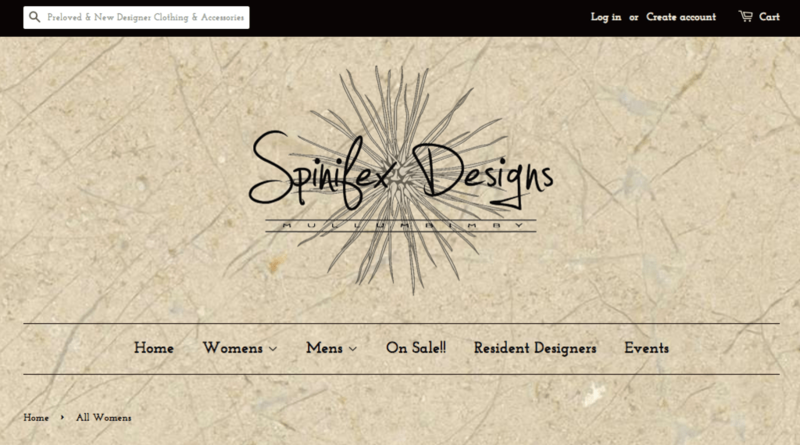 Spinifex Designs Mullumbimby chose to use Shopify for its integrated Point of Sale software, allowing them to sell unique items both online and in their shop at the same time. However when in came to building their online store Shopify’s preset templates weren’t flexible enough for their needs, and they needed some help customising the Liquid templates and making their design ideas work online. Back to Front Designs has been most helpful in tailoring our website to suit our multiple sales platforms and integrate our design ideas with the Shopify POS software we use. I would recommend them to any small business using Shopify or wanting advice and web-design to support online and retail sales. Thanks Ruben for professional service, your patience and long distance support (our business is based in rural NSW). We love our new website! !